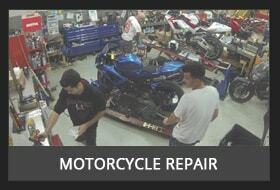 Riders Choice is a licensed motorcycle service & repair facility steeped in motorcycle history. If you are having a problem with your ride, chances are we have seen it before! Riders Choice can service your motorcycle from day 1, providing a safety certificate so that you can register your new ride, or giving you fresh rubber for the season at competitive prices, all the way to setting up your suspension for race day or diagnosing an engine noise. If at any time you are concerned about your ride or just curious about what upgrades are available, give us a call at 905-896-7433, and we can recommend the best course of action or provide you with a number of options.